Time to stash away those chunky cable knit sweaters and warm jackets, as it is the season of lightweight and vibrant and fun ensembles. Men and women are spoiled for choice this season with outfits and accessories from (clockwise) Smythson, Dorfman Pacific, Swarovski, Seafolly, Aquazzura, New Balance, and So Young. Warmer weather doesn’t have to ring synonymous to sparse clothing choices. 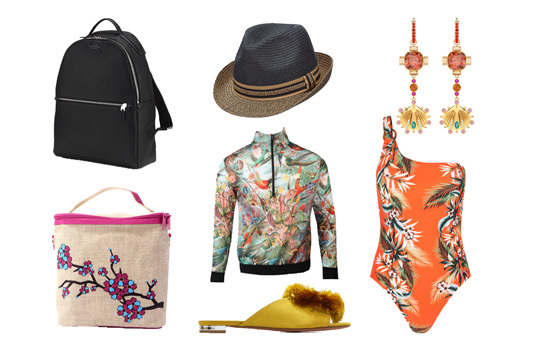 Rustan’s women’s selection serves up an answer to every summer occasion. Stay cool and chic in breathable summer pieces from Bardot, Finders Keepers, and Nicole Miller, or go for a dip in the pool in a colorful swimsuit by Seafolly. SUMMER STYLE. Rustan’s department store carries a wide variety of summer ensembles, including this one-shoulder midi dress in sage from Aidan Mattox. Finding sartorial solutions for the upcoming beach weddings should be no struggle either, what with a variety of options from Adriana Papel, Aidan Mattox, Bari Jay, Josie Natori, Keepsake, and Tadashi. Women can complete their summer looks with shoes and bags from the likes of Arezzo, Aquazzura, Chiara Ferragni, Danse Lente, and Sergio Rossi, and top things off with show-stopping jewelry from Swarovski. Over at the men’s section, the style philosophy is all about striking that perfect balance between form and function. Go casual and sporty for country club afternoons or summer road trips with pieces from Adidas, Dorfman Pacific, Hackett, New Balance, and Pedro del Hierro. Go beyond the typical crisp, white shirt with modern iterations from Ricardo Preto—a sartorial staple made for dressing up from morning to evening. Show up to every formal occasion well-equipped with a smart, event-appropriate pair of lace-up brogues from Tricker, and find a trusty companion for every journey in the top-notch leather bags by Smythson. Always keeping the rest of the family in mind, Rustan’s also delivers an extensive roster of items for children. Keep the kids looking their best for those family gatherings and day trips with shirts and dresses from Rustan’s Jr. and Neck and Neck, and footwear from Bibi. 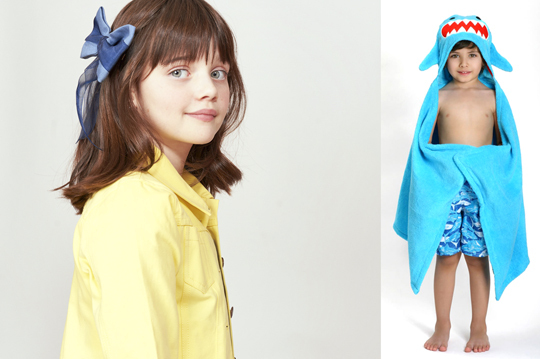 Make the most of their summer trips by making poolside memories with bathing suits from Banz, oh-so-adorable hooded toddler towels from Zoocchini, and toys and goggles from Stephen Joseph and Zoggs. Lastly, count on handy carries from So Young and top-of-the-line child-friendly from Chicco and Good Baby for out-of-town vacations with the little ones. As part of summer promotion, Rustan’s brings back its Travel Fair. From March 29 to 31, patrons can enjoy special offers from Rustan’s Department Store brands and its partners. Discounted airline tickets, tour packages, dining deals, and hotel and resort staycations from Crimson Hotels, The Bellevue Hotels and Resorts, Club Paradise Palawan, Discovery Shores Boracay, Discovery Primea, Adventure International Tours, Inc., Dream Cruises, Raffles and Fairmont Makati Hotel, Luxe Nomad, Shackleton, AirTaxi.ph, Sta. Elena Golf & Country Estate, and The Farm at San Benito, among others, await. For every P3,000 spent, customers earn raffle entries and stand the chance to win some of the best summer getaway packages.